India’s “Economic Times” features a terrific editorial on the American Dream and how India could learn a thing or two from the American system of education. We happen to agree. 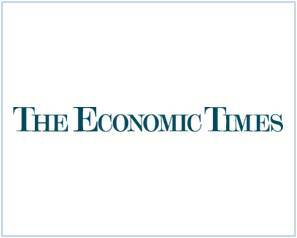 There’s a fantastic editorial in India’s “The Economic Times” written by Vivek Wadhwa entitled “What India could become if it learned from the American Dream” that we figured we’d share with the readers of our college admissions blog. As we work with many Indian American students as well as native Indians as they seek to gain admission to highly selective American universities, such as the Ivy League colleges, we thought it important to share an editorial in which the author, an American immigrant from India, compares the American system of education to the system in India and how these two different systems create vastly different opportunities. And by different opportunities, what Wadhwa argues — and we echo — is that if you’re bright and ambitious in the American system as exemplified, for instance, by the success of Indians and Indian Americans in Silicon Valley, you can achieve success in America whereas there is not as much opportunity for upward mobility in India. As Wadhwa articulates in his piece, “It isn’t generally the poor from India who make it to America; it is the cream of the Indian crop of students and highly skilled workers. People who leave their friends and families behind to build success in foreign lands are inherently more entrepreneurial and risk-taking. Immigrants who come to America face discrimination just as foreigners in any land do. Most Americans are tolerant and open-minded, but racism remains an ugly reality.” Wadhwa goes on to write, “The greatness of America is that a person who achieves success receives the highest respect and is looked up to. Background, race, and religion all become irrelevant. This is the American Dream: an ethos of freedom that provides anyone who achieves success through hard work with the opportunity for prosperity and equality. There are no barriers to upward social mobility in America. That is why immigrants thrive and why America leads the world.” Well said indeed. The caste system in India stymies upward mobility. So many young, smart, ambitious, and hard-working students within this country won’t be offered the opportunity to receive one of the finest educations in the world. But America does offer that to so many of its own students and even to students from nations such as India (admittedly, you need to have money to attend an elite U.S. university…so we’re not arguing that it’s all fair in America). It’s not, though it is better. With its massive endowment, Harvard, as an example, is very generous with aid to international students, including from India. But, admittedly, every school is not Harvard. If those students who can afford to pursue their undergraduate studies in America play their cards right, they sure can achieve their American Dreams. And as we’ve recently set up an office within India, we aim to work with more and more native Indians as they seek to achieve their own versions of the this dream at America’s most elite universities (and no, contrary to what many private admissions consultants in India suggest, most universities within the United States are not elite…a select set are). With an education from the finest schools in the land, from this select set, these students can then go on to become movers and shakers in, say, Silicon Valley, as Wadhwa writes, or they can return to their native India and make their country stronger with all that they’ve learned in America.